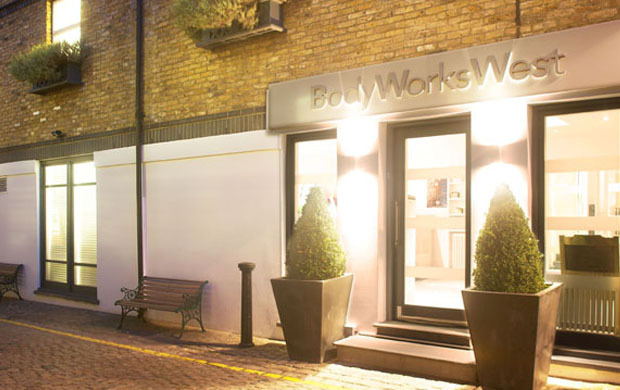 BodyWorksWest gym in Notting Hill have devised a short, intensive shape-up program consisting of 12 personal training sessions, four nutritional consultations and 12 independent workouts. My sedentary lifestyle and penchant for junk food mean I’ve gained an inordinate amount of flab over the past 18 months. I’ve finally decided enough is enough, and agreed to test-drive the program and report back weekly. It all kicked off with a consultation with Jackie, their in-house nutritionist. She takes an in-depth look at your current diet pattern, weight, shape, health and any other previous health issues you may have had. The consultation is thorough and even requires you to identify where you land on the Bristol Stool Chart (I’ll say no more). Suffice to say Jackie is not your ‘weekend internet course and diploma’ nutritionist, but a highly informed medical practitioner with many years under her belt. Jackie sends a follow up Health Improvement Plan and Meal Planner a couple of days on to remind me of the foods agreed and the food (junk?) outlawed. I then met with Andres, the Olympian Personal Trainer. Andres also takes his job seriously, and after weighing me, measuring me and discussing my goals, he put me through my paces. There’s no opportunity to slack on Andres’ clock. He worked me hard, but it’s what’s needed to see the results I’d like. I have an all-or-nothing disposition, and if I’m going to do something I want to do it properly. Without Andres forcing me through the burn and motivating me when I felt like I was going to faint, I just wouldn’t have the confidence to push myself through it. So after one session with Jackie and one with Andres, do I feel different? I wouldn’t say I’ve lost weight (obviously), but I feel my outlook has totally changed. I no longer feel ‘getting back in shape’ is some abstract, distant idea that I’d like to pursue, but probably won’t today. I feel motivated and confident in the correlation between healthy diet, exercise and tangible results. My attitude has shifted in a way that will make adherence to the plan easy. Famous last words? Ask me next week.